I've been in love with Emmy's Organics Chai Spice Macaroons for a while now. A friend of mine made a version of these that were so good, I had to make them. These are so easy to make and have only 2 grams of sugar from maple syrup per macaroon. Pair them with a cup of ginger tea and you have an amazing dessert! Add all ingredients in a food processor and process until combined. Roll into balls and flatten tops slightly or leave as balls and roll in shredded coconut. I have always been a little intimidated of curry sauce. I thought it would be very complicated to make. I've tried a few of the bottled ones, even the natural ones and I wasn't a fan. So, I thought I'd attempt my own. This version is very simple and it's free of soy, corn, gluten and dairy and is so creamy and delicious, it will be hard to believe it is so good for you! In a saute pan, heat the oil over medium heat. Add the diced onion and garlic, and saute for about 5 minutes, until tender. 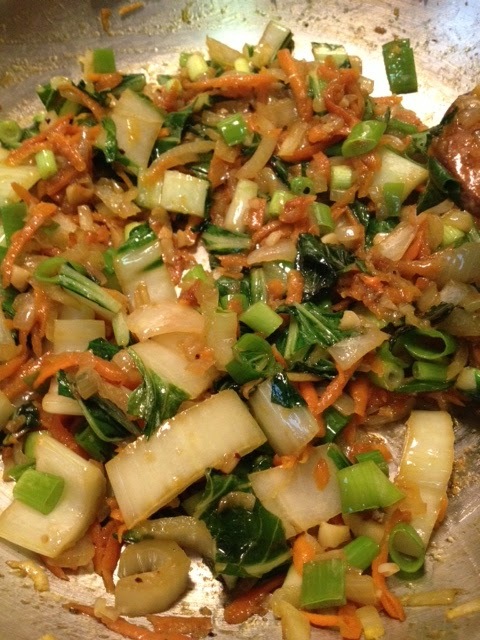 Let cool a little and then add the onions, garlic and sweet potato chunks into a blender. 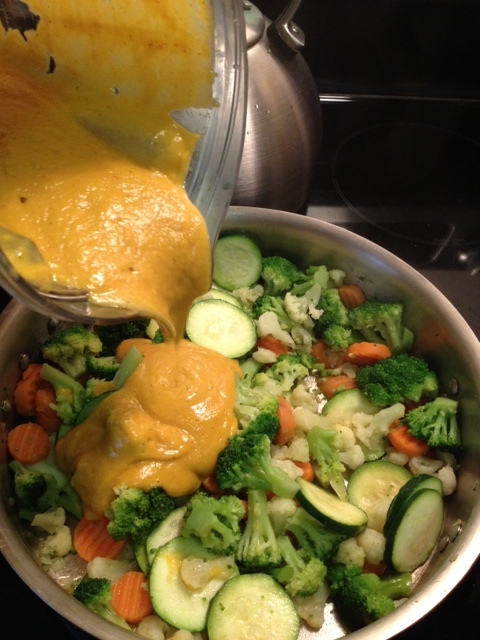 Add in the rest of the ingredients except for the veggies and blend until you have a creamy sauce. 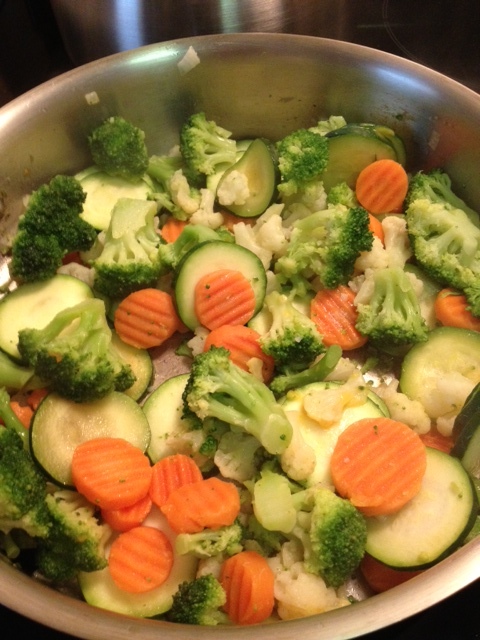 Cook the veggies in another saute pan in a little olive oil salt and pepper. Pour your sauce over the veggies and cook for about 10 minutes to incorporate all the flavors. Scoop veggie mixture over quinoa. 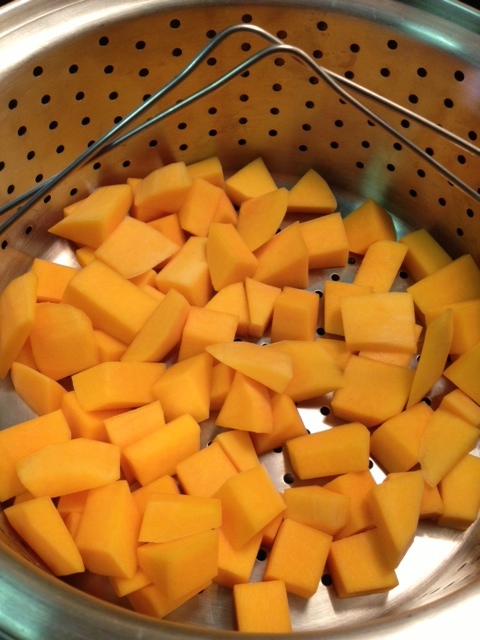 *To steam butternut squash, cut off end and peel the squash. Cut into cubes and place in a steamer basket over a pot of water. Cover and cook for about 20-30 minutes until a fork goes through easily. I love ice cream! I don't eat the traditional dairy ice cream anymore, but I do still crave that frozen creamy dessert. These are great for satisfying that ice cream craving without actually eating any ice cream. 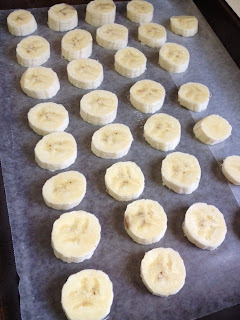 These are also kid approved and perfect bite size snacks, although it is hard to just eat one! There are many versions of this recipe out there. 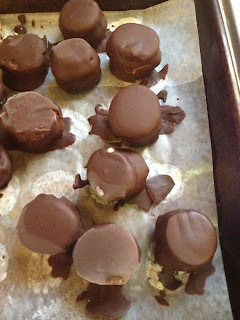 Two of my favorites that inspired this recipe are these Frozen Banana Truffles from The Detoxinista and these Chocolate covered frozen banana and peanut butter bites from Marie at Not Enough Cinnamon. Slice bananas into rounds and lay half of them on a wax covered baking sheet. 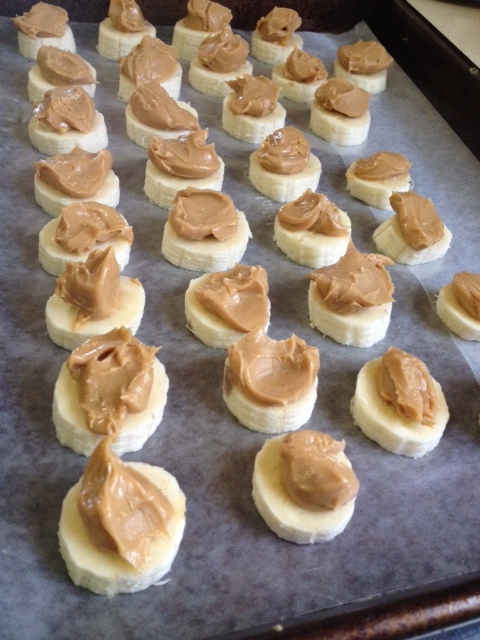 Spoon a small amount of peanut butter on top of each banana slice and top with the remaining slices. Place in freezer for about 20 minutes to firm up. 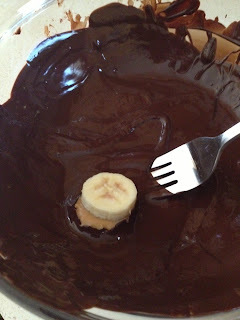 While the bananas are firming up, melt your chocolate chips and coconut oil over a double boiler or place in a glass bowl and place bowl on top of a pot of boiling water. Dip each banana sandwich into the chocolate until covered. Place back on waxed paper and place into freezer for about an hour. 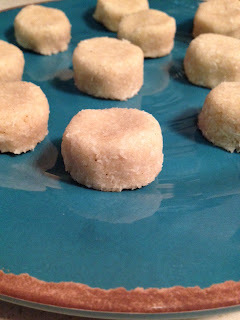 These can be made ahead of time and put in the freezer overnight. This dish reminds me of a fried rice dish that I use to get when I ate Chinese takeout. 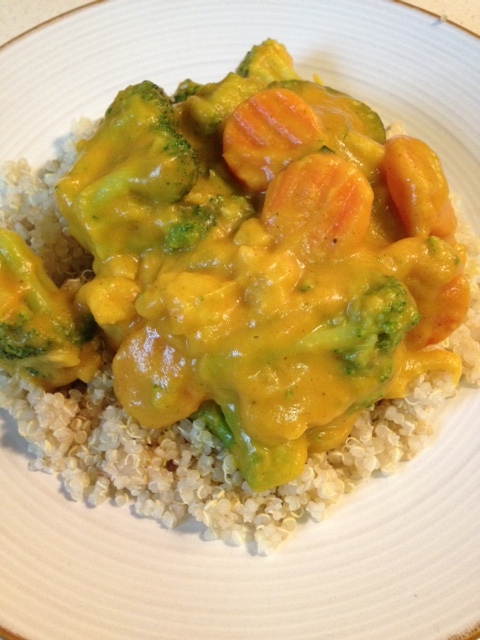 This version is made with quinoa which is a much healthier option. 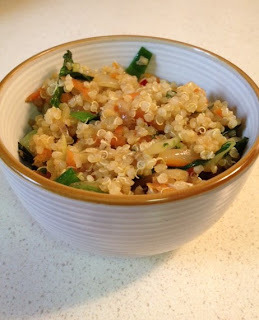 This dish is very versatile, you can have it as a side dish or you can turn this dish into breakfast by adding a scrambled egg to the pan and letting it cook before adding the quinoa. 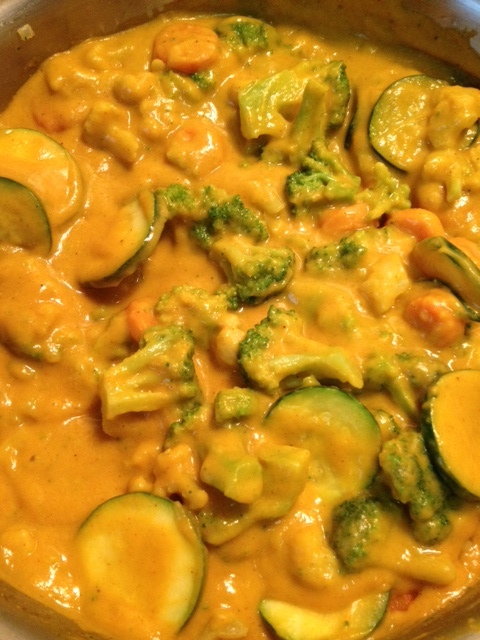 You can also add some cooked chicken breast for another lunch or dinner option. 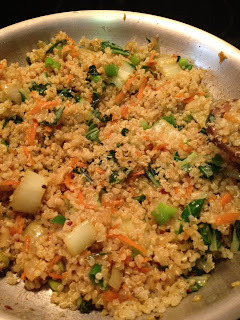 Benefits of Quinoa-Quinoa is a complete protein containing all nine essential amino acids. -Quinoa contains almost twice as much fiber as most other grains. -Quinoa contains Iron, lysine, magnesium, riboflavin (B2) and manganese. 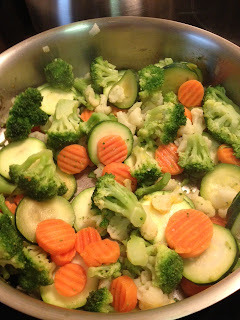 In a large pan, heat the olive oil over medium heat. 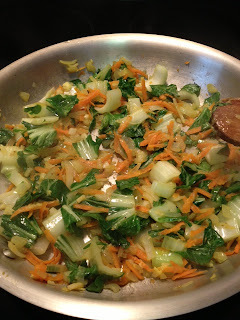 Add onions, garlic and carrots and cook until softened. Add the scallions and cook for another few minutes. Add the coconut aminos and cook until heated. 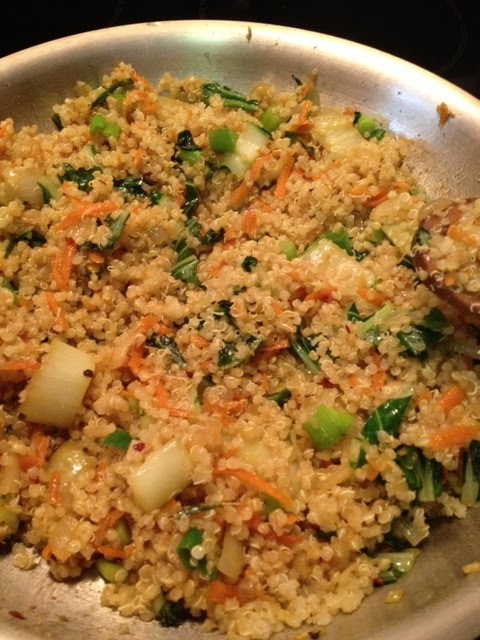 Mix in the cooked quinoa and serve. Put all ingredients in a powerful blender (I use the Vitamix) and blend until smooth. Drink and Enjoy! 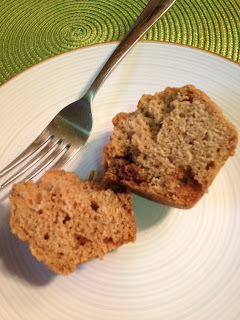 Since I bought my bag of organic dried mission figs the other day and made these cinnamon fig muffins. I had to try something else. 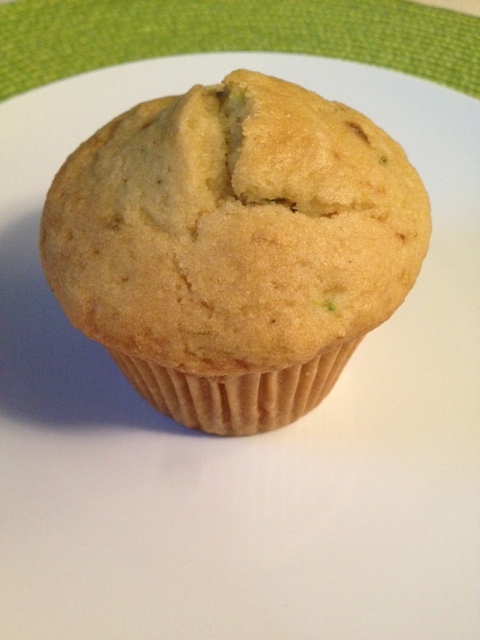 I wasn't sure what else to make until I walked into my local health food store the other day and they had fresh zucchini fig muffins just out of the oven. Of course I bought one, I had to try these. I wasn't sure how I would like the combination but it turned out it was amazing! Now I knew what to do with my extra figs. I had to recreate this muffin. 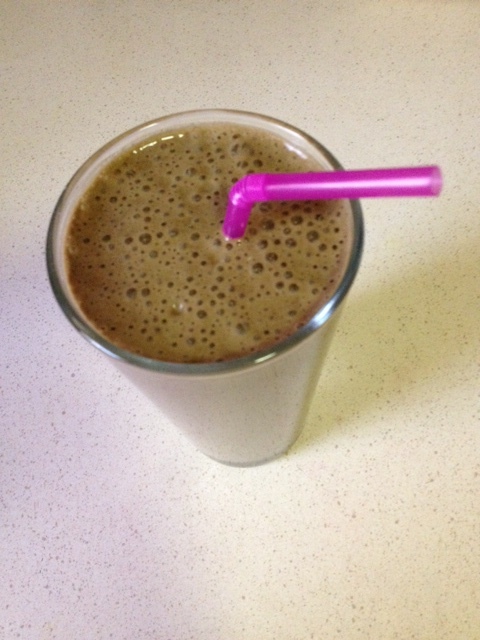 Here is my version, which is gluten free, dairy free, nut free, soy and corn free and not too sweet. If the combination doesn't sound good to you, make them anyway and trust me you will love these! 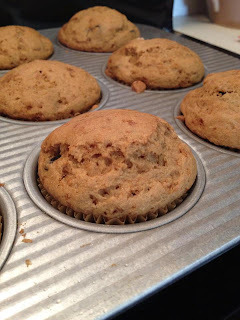 Preheat oven to 350 degrees and line a muffin tin with paper liners. In a large bowl combine the flour mix, sugar, xanthan gum, salt, baking powder and baking soda. Stir together. In another bowl whisk the eggs, oil, and milk until combined. Add the wet ingredients to the dry and stir together. Stir in the figs and zucchini. Spoon into muffin tins. Bake for 25 minutes. I love figs, fig newtons were one of my favorite cookies. I know I can make gluten free fig newtons, but I wanted more of a fig cake. This muffin was exactly what I was hoping for. It is the perfect snack to have with a cup of tea. 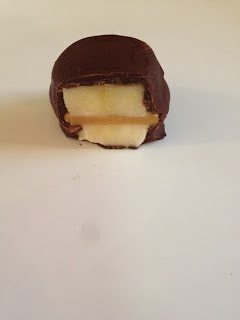 It is gluten free, dairy free, nut free, soy and corn free and not too sweet. I hope you enjoy these as much as we did. 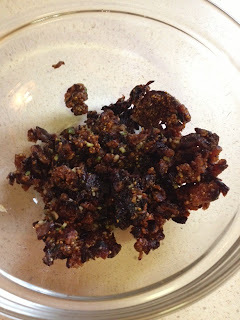 Process your figs in a food processor until finely chopped. In a large bowl combine the flour mix, sugar, xanthan gum, salt, baking powder, baking soda and cinnamon and stir together. 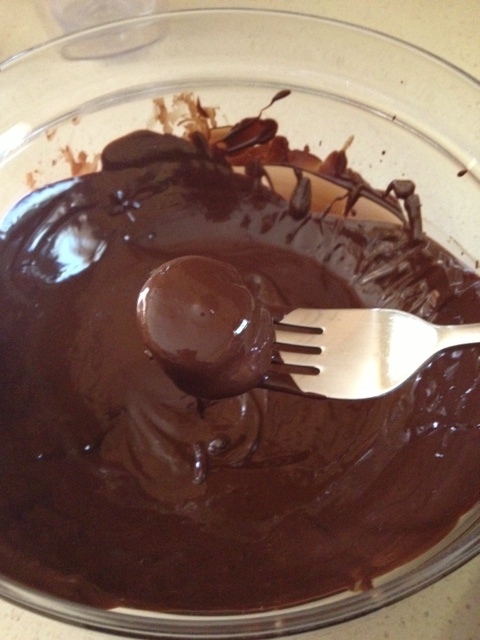 In another bowl whisk the eggs, oil, vanilla and milk until combined. Add the wet ingredients to the dry and stir together. Stir in the figs. As soon as the spring comes, I get excited for new salads and the refreshing summer fruits that are going to be coming into season. The other day my Whole Foods Market had a ton of these mangoes on sale and I bought a bunch. I made this pineapple mango salsa. I was going to put it over fish for dinner that night but it was so good, we ate it with lunch and it never made it to dinner! I guess that means I'll be making this again to try with my fish. 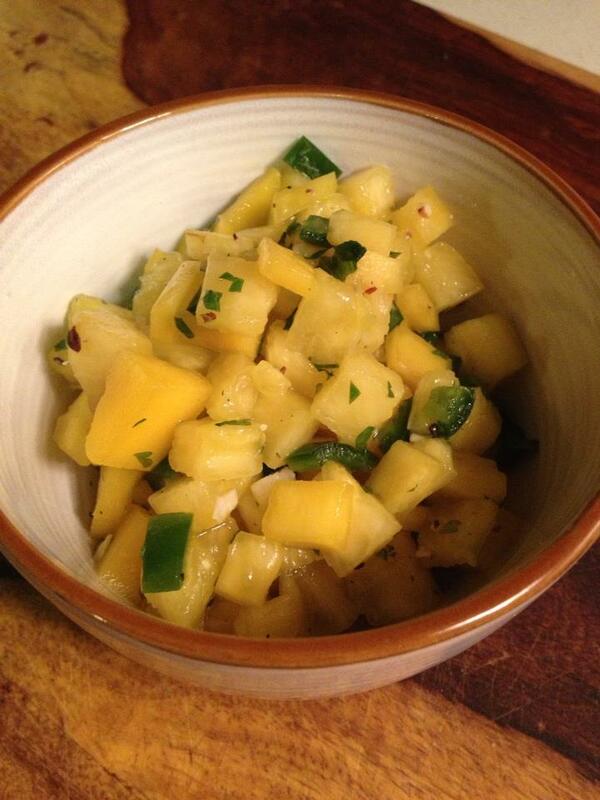 This goes well over chicken or fish, or just as a side dish. I made half this batch with red onion and the other half without since my daughter doesn't like raw onions. I love red onions, but I was surprised that I liked the version without the onion a little better. Try it whichever way you like and leave a comment below and let us know which you prefer! 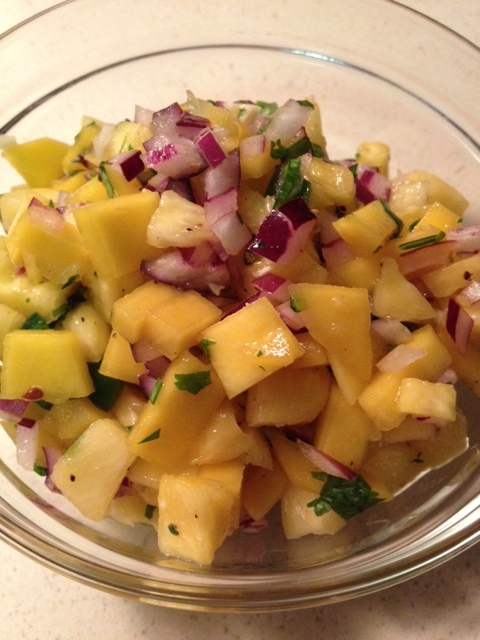 Combine all ingredients in a bowl and mix together. Serve right away or refrigerate overnight. I thought this tasted even better the next day! 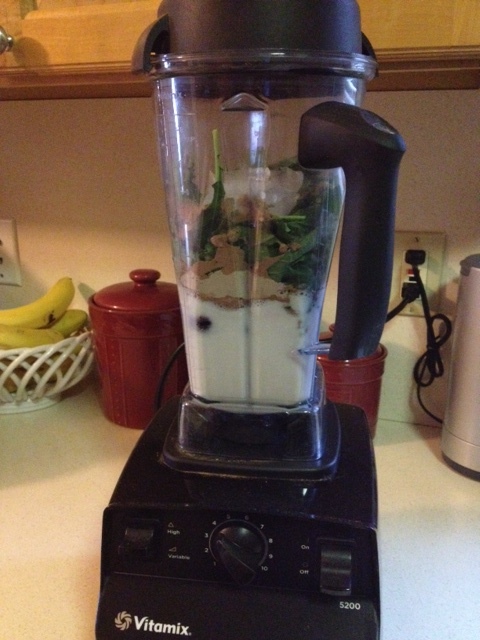 Mix all ingredients in a container and shake to mix.